The 4401 Optical Oxygen Analyzer provides some major advantages over traditional membrane style electrochemical sensors and zirconia cells. 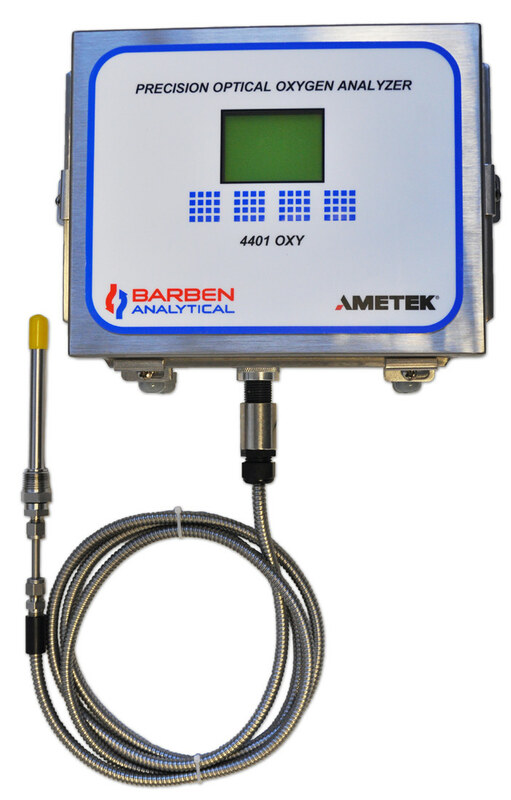 One analyzer can be used for both gas and liquid phase measurements. Phase fluorometric measurement technology gives a measurement that is impervious to pressure changes and chemicals poisoning. With a stainless steel NEMA 4X enclosure and FM / CSA Class 1, Div II rating this product is well suited for industrial oxygen measurement applications in upstream and midstream natural gas, refineries, chemical plants, and other harsh environments. Texas Automation Systems provides best-in-class automation system design, integration, programming and commissioning services. Quickly, TAS has become a trusted Automation partner.